A while back I wrote a post about the discontinued C-More Tactical sight. Since then, I have had many people ask me where to buy one. Hell if I know. Well lucky for you, there is one for sale right now in AR15.com for $225. This is a different model than the one I reviewed. It has a different brightness knob and I believe it has a plastic body. Next Up. 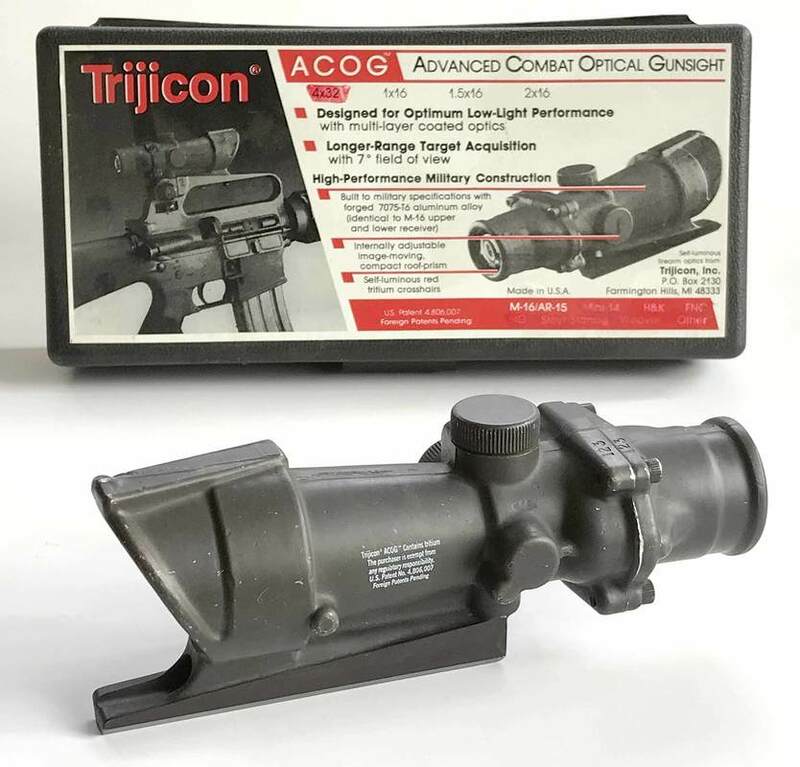 I saw ACOG serial number #123 is for sale. That is a cool little collectible. The seller wants $1250, which I think is nuts, but I’m sure someone will pay it. Also there is a Single Point sight for sale, like what was used on the Son Tay Raid. These sights are not uncommon, but the mounts for them are very rare. This one has a mount that looks like it had never been used. Seller wants $1300, again a high price, but I’d bet someone will pay it just to get that mount. I have no affiliation with any of these sellers, and I have no idea when or if this stuff will sell. All sorts of cool stuff is out there, but you just gotta have cash ready and look around if you want it.